They say all good things come to an end, and the Scottish trip earlier in the year had certainly been a good one. 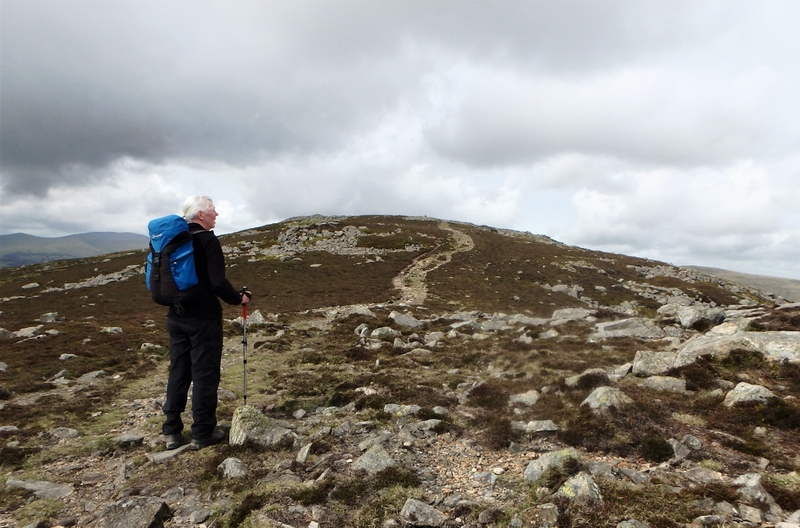 We weren’t quite finished yet though, as our route back home passed the Lake District – who could resist a few more days in the hills? 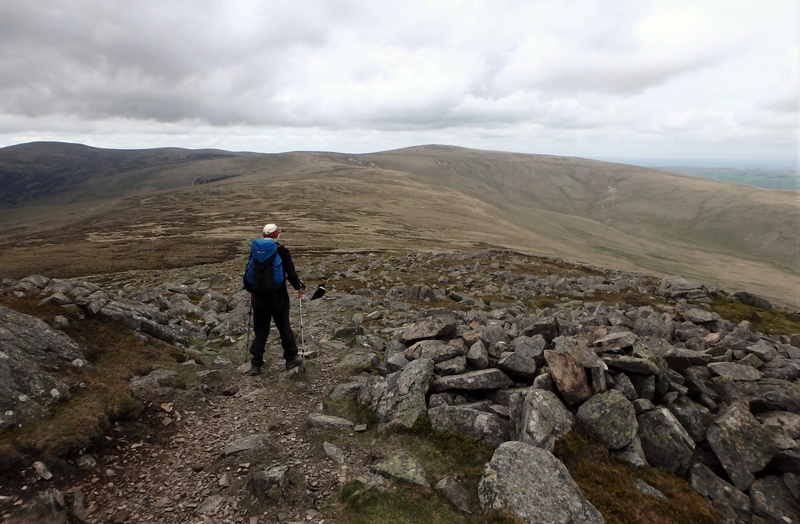 Well, Chris and I certainly couldn’t, which is why we found ourselves on the edge of the Northern Fells of the Lakes. 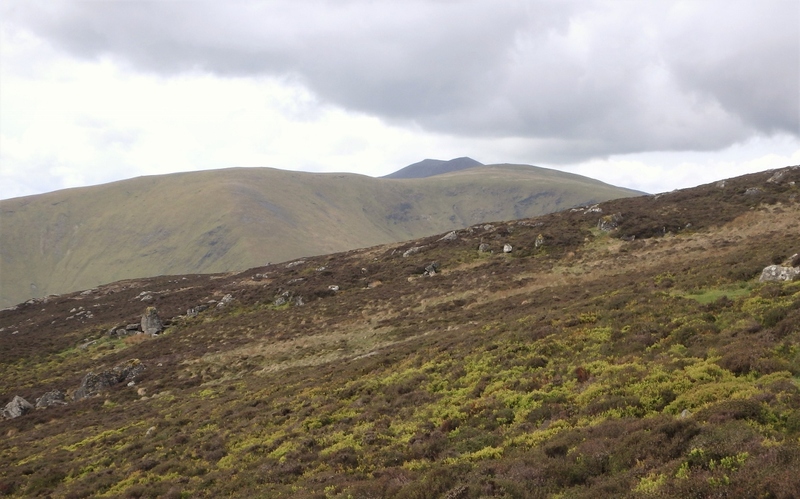 With the exception of the ‘honey-pot’ mountains of Blencathra and Skiddaw, the Northern Fells are quiet, lonely places. In fact the area goes under the general title of Back o’ Skidda’ amongst the locals, as if it didn’t have an identity of its own. 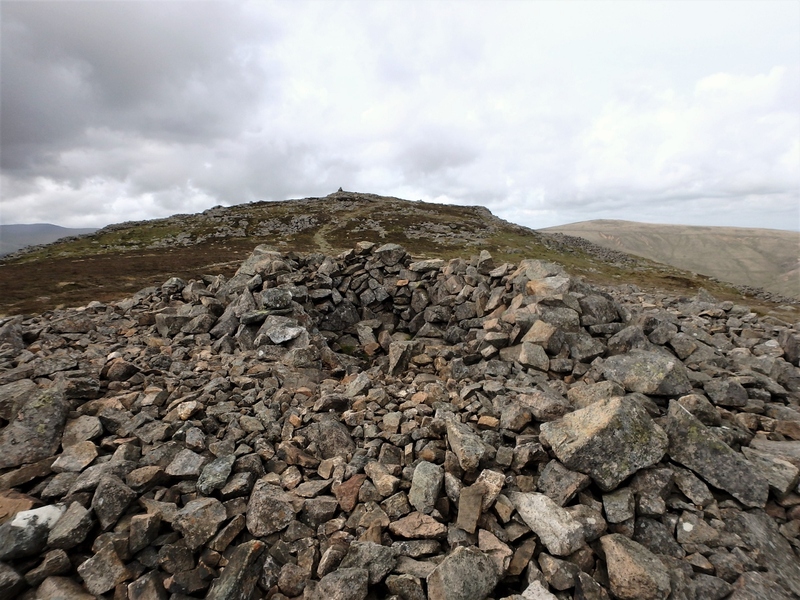 A notable exception to this is Carrock Fell – its unique geology has made it a significant little mountain for miners, quarry men, rock climbers and even Iron Age warriors. 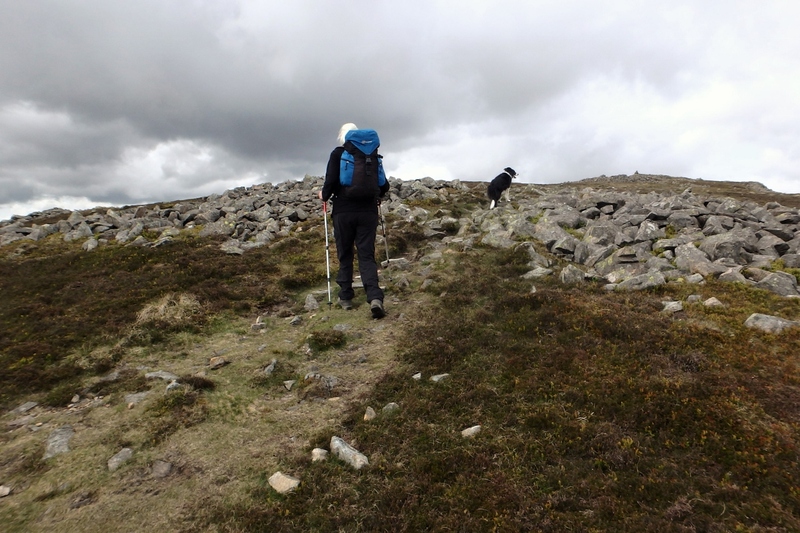 It also had a tidy little walk for Chris and me – plus Border Collie ‘Mist’ of course. Chris wondering if we really are going up there! The geology of the mountain is unique in the Lakes, due to the underlying rock being mainly gabbro. 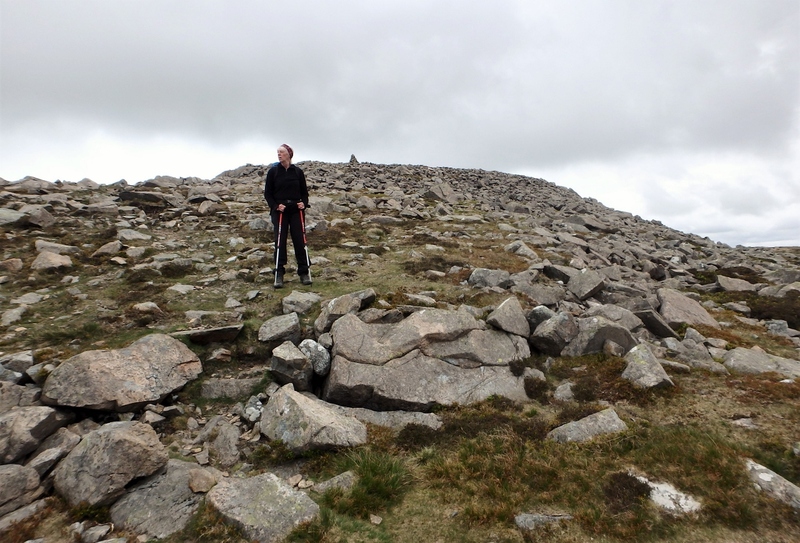 The only locations in the UK where gabbro is found is here at Carrock Fell and in the Cuillin Mountains of Skye. In the Cuillins it has formed a ridge that is almost alpine in scale and character (see posts #224, #225 and #226) but on Carrock Fell the only real evidence is found in the crags on the east side of the mountain. 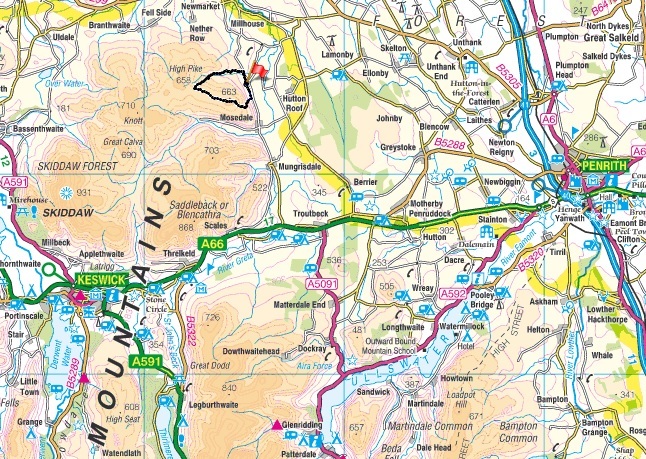 The gabbro crags provide the only real rock climbing in the Northern Fells, with the rest of the hills being Skiddaw Slate, a notoriously slippery rock to climb on, especially in the wet. 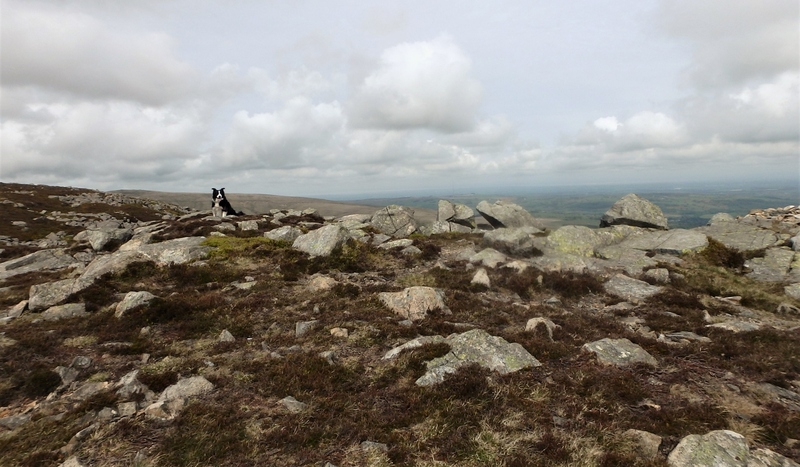 Gabbro, on the other hand, is possibly the most grippy rock in the country. 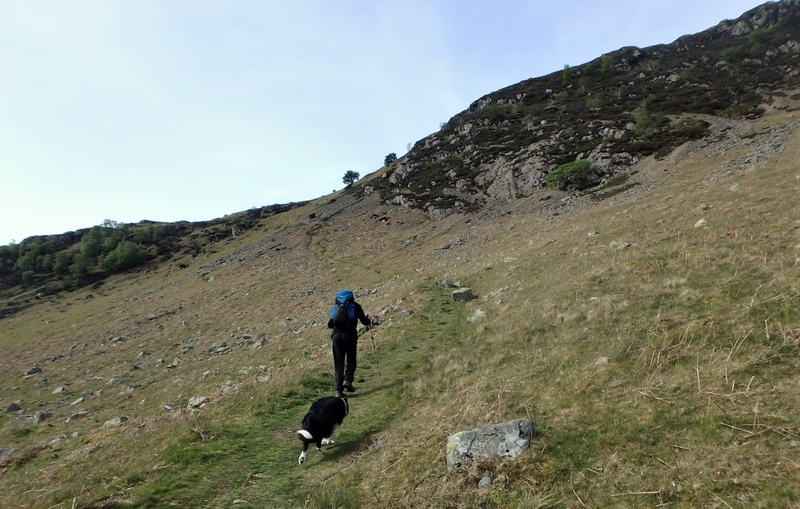 Chris and I were not heading directly for the climbing section of the hillside though – the aim was to follow a steep path following a breach in the crags, though in places it was steep enough to invade Chris’s comfort zone a bit! 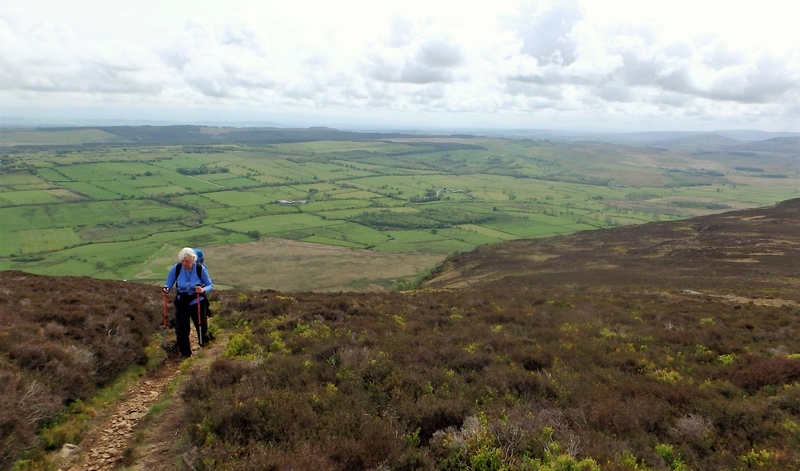 The last bit of serious height gain …. 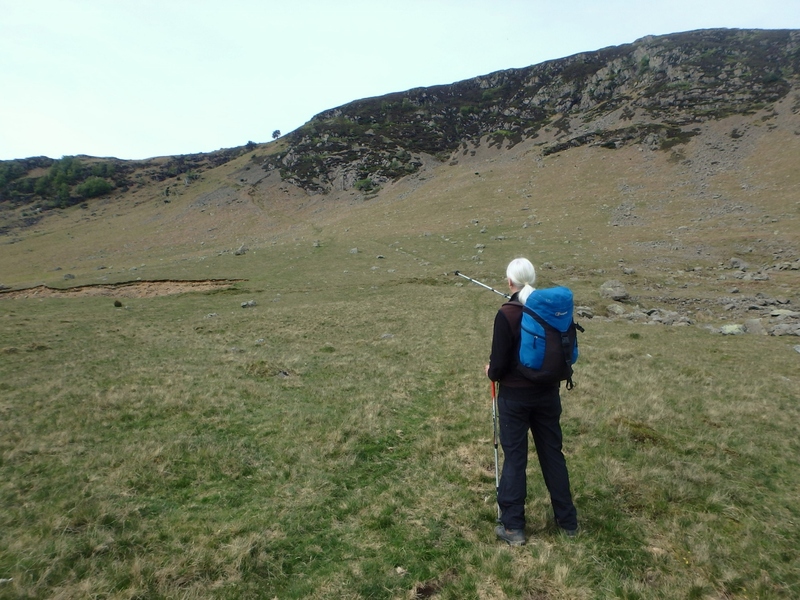 Once above the steep little gully that gave upwards access through the crags, things started to settle down a bit, and though we were still heading uphill the gradient eased enough to be able to talk and breath at the same time! 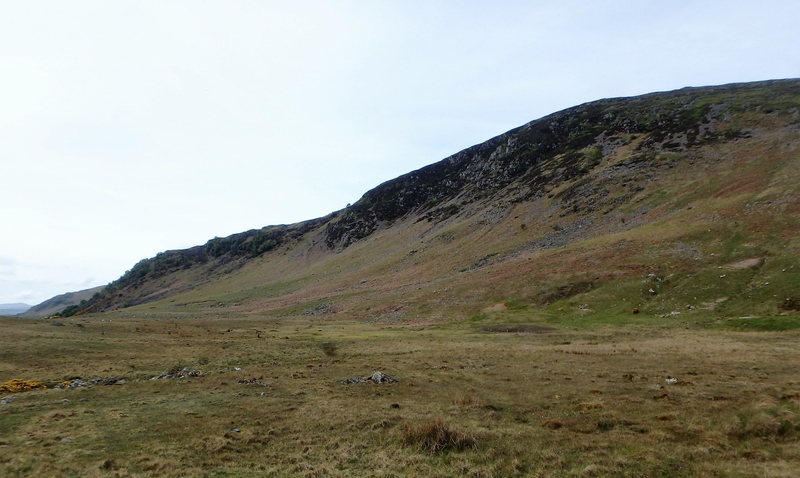 The views on this section were mainly restricted to the slope ahead or south to Blencathra, but eventually the angle eased enough to be able to look up to the summit with its ancient hillfort. 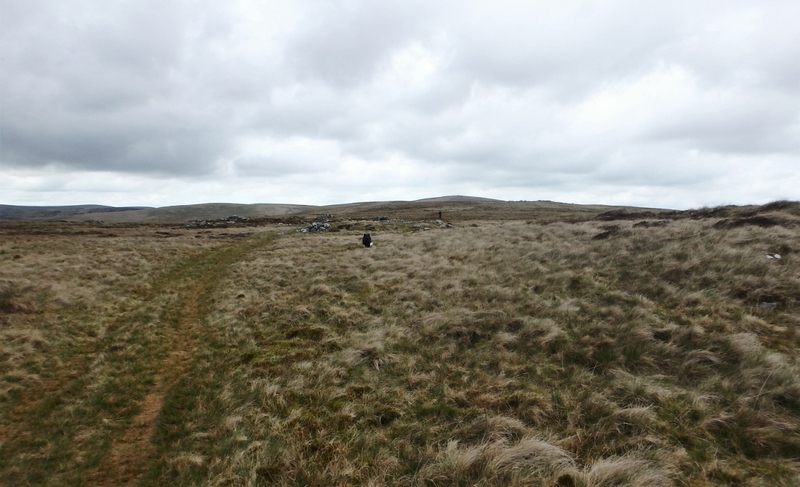 The view towards the ancient hill fort …. 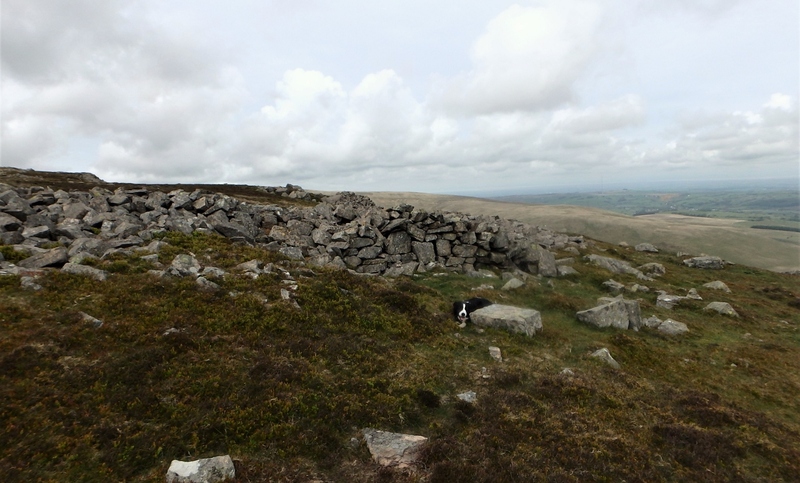 One of the surviving sections of wall …. 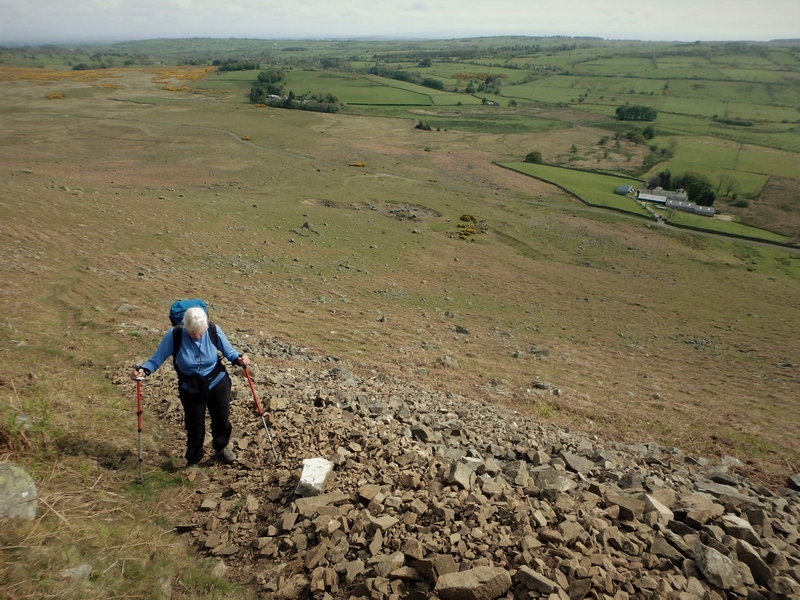 The term ‘hillfort’ may well conjure images of lofty stone walls – what you see in fact are the remains of what was once an Iron Age fort which was well established when the Romans came to Cumbria almost 2000 years ago. 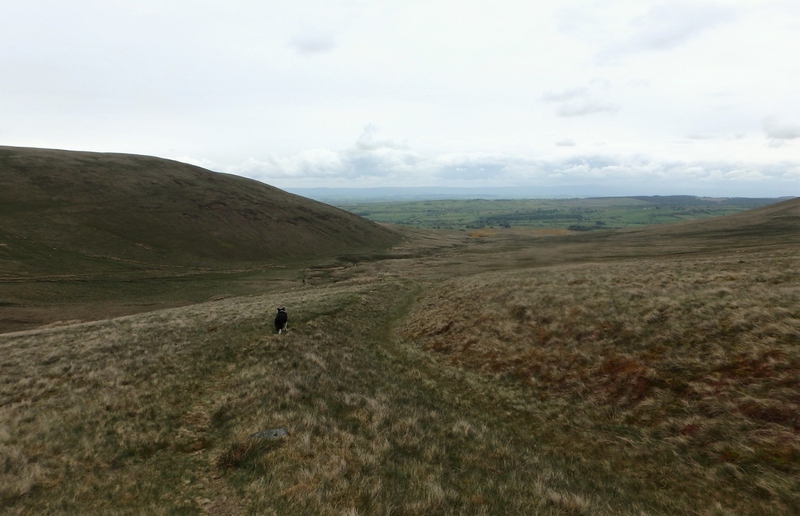 Sections of the original wall can still be identified, which is amazing considering the destruction carried out by the Roman army, followed by 2000 years of Lake District weather. 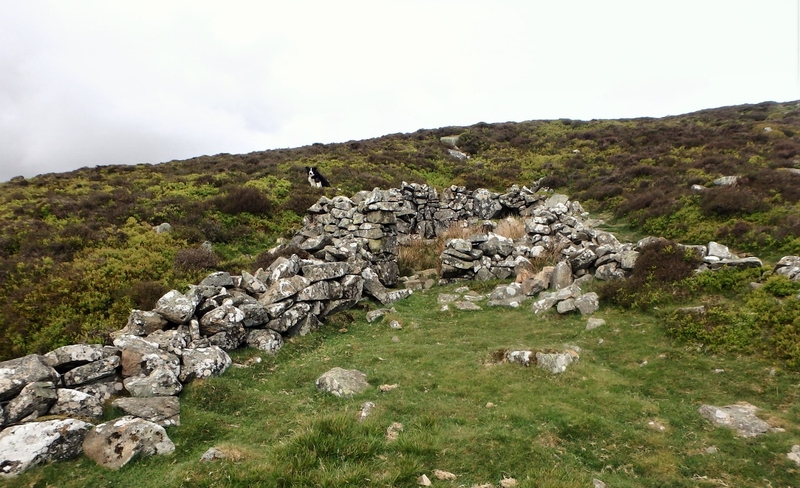 Some of the destruction continues today, committed unwittingly by modern-day walkers using bits of the fort to build stone shelters to get out of the wind. 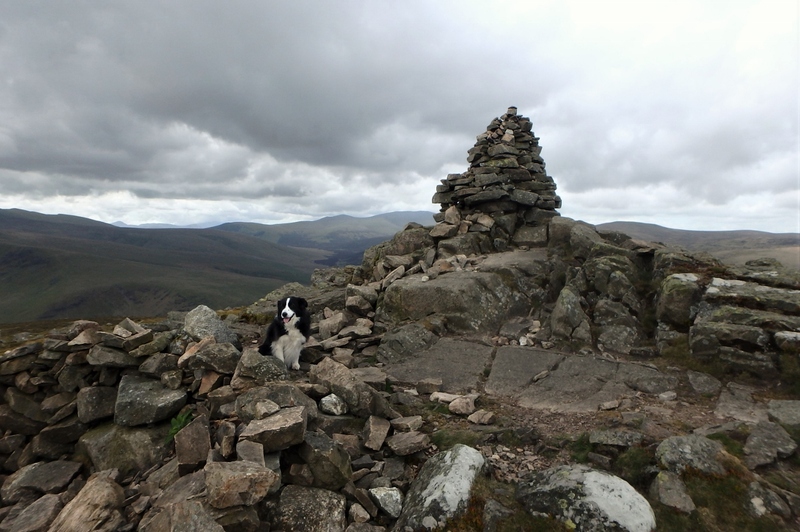 Another less destructive feature added in recent times is the small cairn at the summit, which gives a great vantage point to look out towards Skiddaw in the distance. 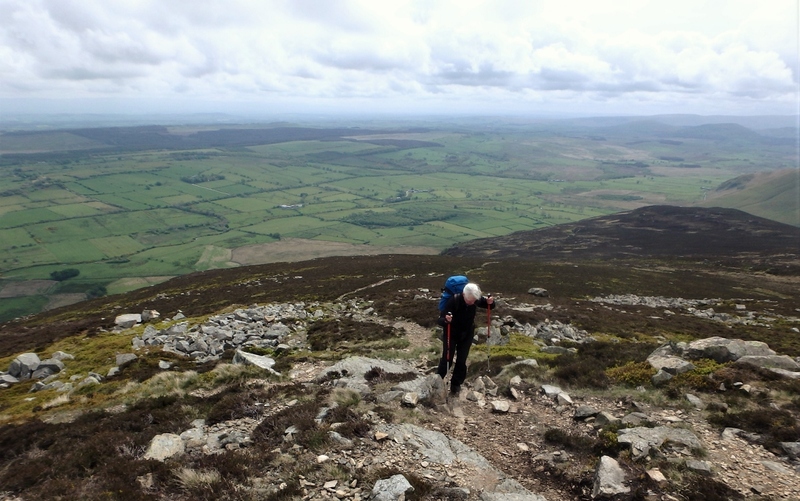 There is a real sense of being on a summit. 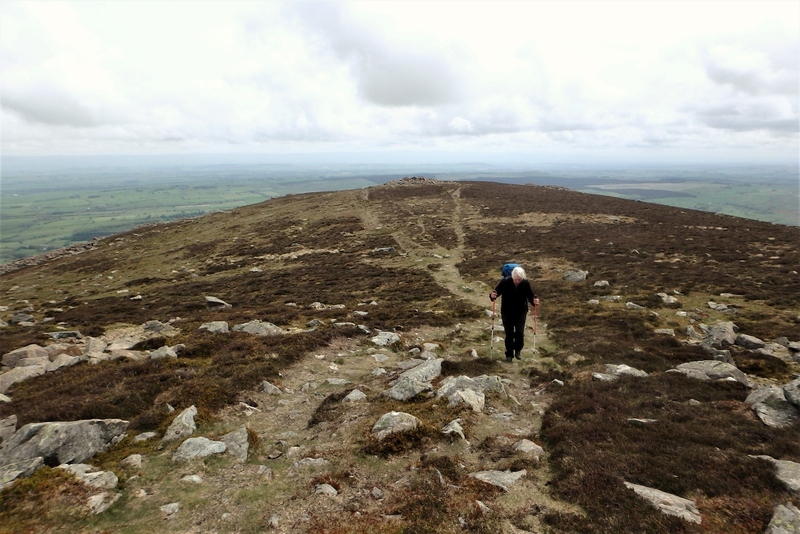 The name of the mountain is almost as ancient as the fort – Carrec means ‘rock, and comes from the language spoken by the British Celtic tribes who occupied these lands during and after the Roman occupation. 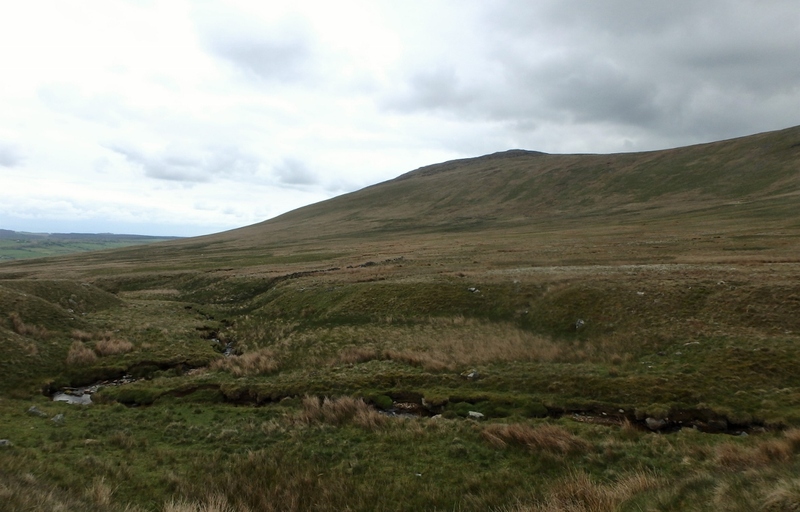 Their language was a form of Old Welsh and their words occasionally reach out to us across the centuries, reflected in other local names such as Penrith (Pen Rhyd or the ‘Chief Ford’). 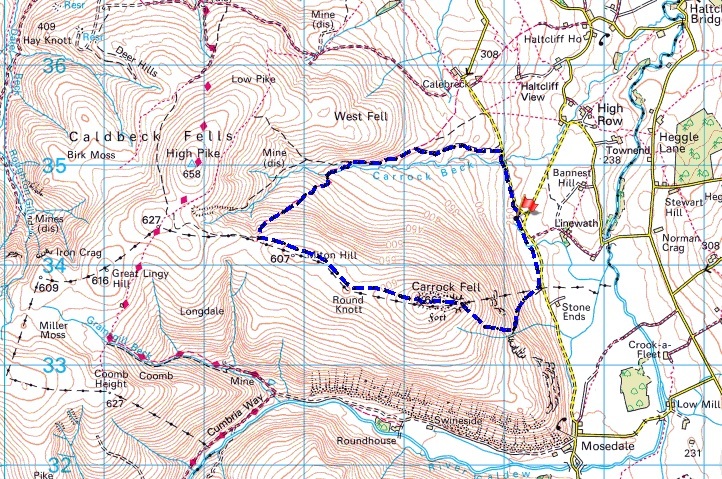 ‘Fell’ is a more recent addition to local names, coming from the Old Norse spoken by the Vikings who settled in Cumbria in the tenth century – the word comes from fjall, meaning a mountain. 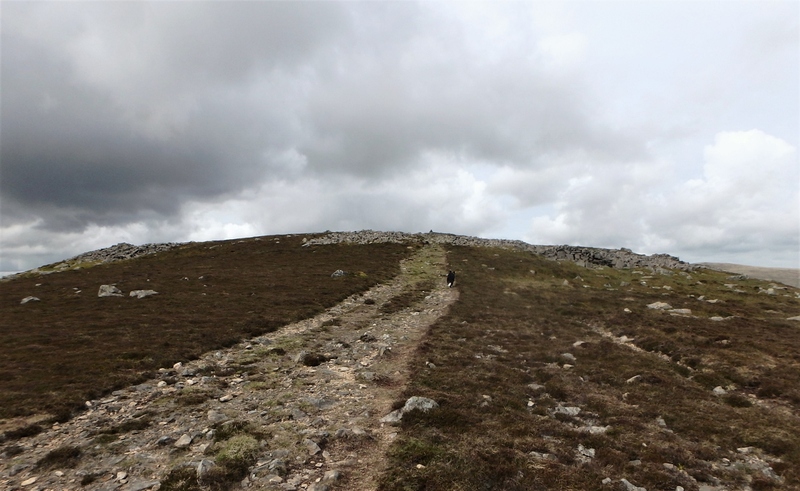 As we left the summit, we also left the ‘Stone Mountain’ (Carrock Fell) – our route towards Miton Hill can be a boggy purgatory in wet conditions, but the fine weather we had enjoyed in Scotland had obviously stretched as far as the Lakes. 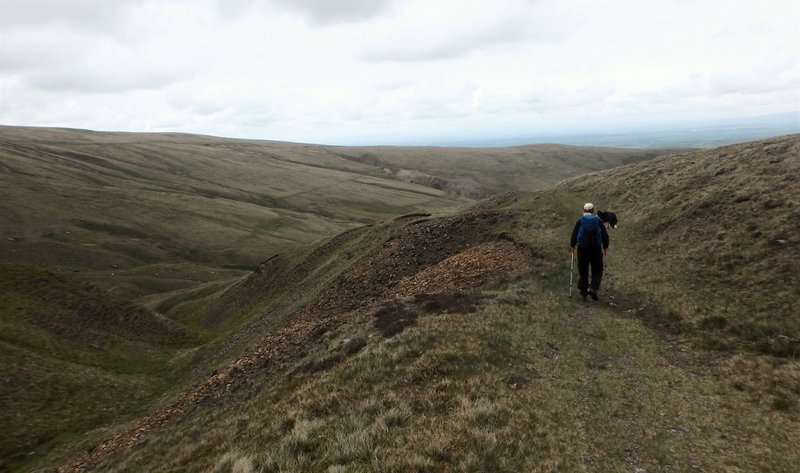 We had a dry crossing of the moor before descending by Drygill Beck into the broad valley of Carrock Beck. 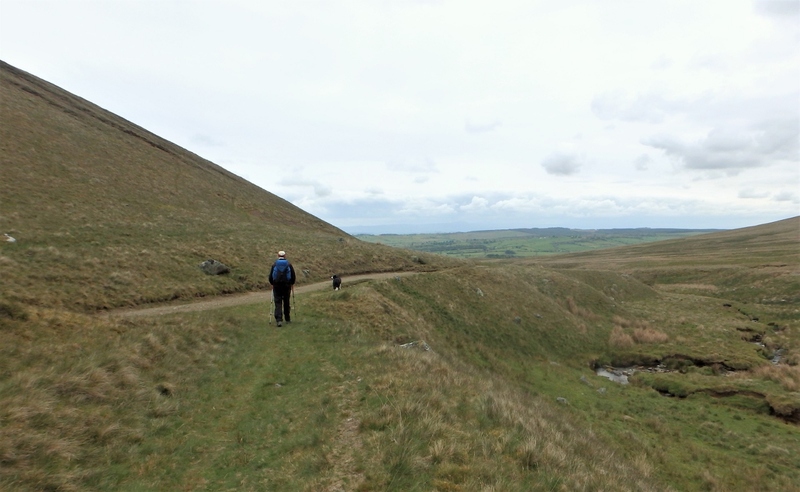 Our views of the northern side were a complete contrast to the steep east side, and we’ll probably take a look there the next time we head out to these lonely, deserted hills. We stayed just opposite there in a Hoseasons lodge this Summer. Meant to climb it, but never got round to it as was doing ‘bigger’ ones. Maybe next time now, reading this. You should have called round for a coffee! Haven’t been on Carrock for a bit and have never been up your ascent route but keep meaning to try it. I’m not sure whereabouts you are now Carol though I remember that you had moved to Cumbria. That ascent is fine, but getting a bit worn now, probably a victim of its own popularity.